Measuring your power output is essential to advancing in competitive cycling. 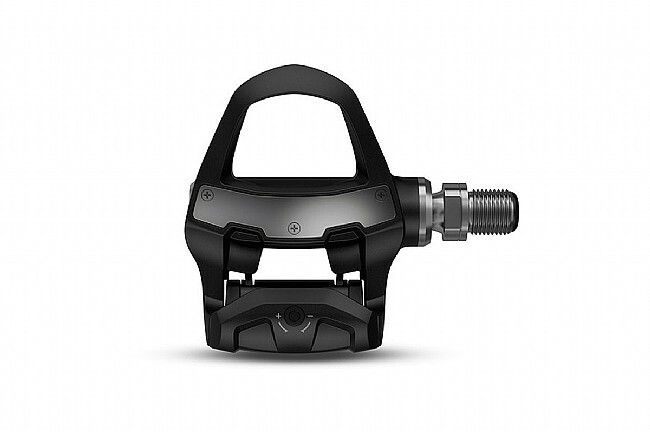 The Vector 3S Power Pedals from Garmin are an affordable means to progress, featuring single-sensing pedal-based power measurement, cadence recording, and polished, ergonomic construction with an improved stack height for more confident cornering. Installing these pedals is super easy ‒‒ just like any non-power pedal ‒‒ without requiring any additional pods or sensors. The precision machined stainless steel spindle and composite pedal body are highly durable, fit to provide years of reliable use. With up to 120 hours of battery life, these pedals can churn out loads of training, data, and fun before its time to swap old batteries for new. If you decide you require dual-sensing power measurement at some point down the road, Garmin makes it easy to upgrade from your single-sensing system to a dual-sensing system. 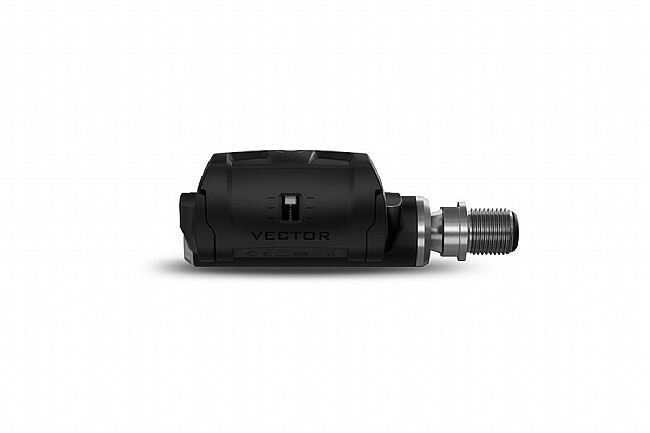 The Vector 3S pedals quickly pair with compatible Garmin Edge computers, ANT+ or Bluetooth-enabled devices, and Garmin’s Connect Mobile app. Be sure to pair your pedals with TrainerRoad via ANT+ to get the most out of your training, and integrate your ride data, routes, and more with Garmin Connect™, Strava, and TrainingPeaks. Battery life: ≤ 120 hours (with LR44 battery type). Q-factor: 53/55mm with supplied spacing washer. Finally pulled the trigger and ordered my first power meter. I went with the left only sensor but have the ability to add the right pedal sensor later if I feel the need. Installation and connectivity to my Wahoo Bolt was a snap. The first ride showed wild wattage fluctuations and drop-outs. I spoke with Garmin support and they advised me to add a drop of mineral oil to all battery contact points. It was easy to do, but seems like a pretty silly requirement to get new equipment to function properly. However, their fix solved the problem and I have had no issues on subsequent rides. These are the latest version with the improved battery compartment. The pedals are nicely finished and feel just as good as the Look Keo Carbon Blades they replaced. Keo cleats work fine. Readings have been consistent on tarmac and gravel and the ease of switching this power meter between bikes is a huge plus. The fact that they display cadence means I could take my old cadence sensor off, so the net weight gain is negligible. 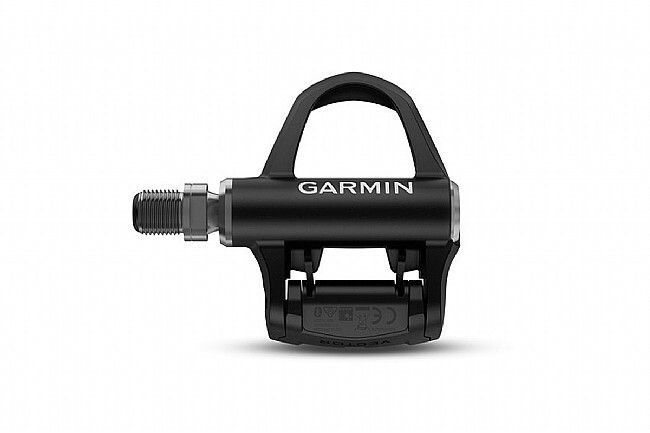 Garmin Vector Power Pedals. The 'S' stands for single (left). I knew that when I purchased them because i had done a little research on them - reading reviews and such. What was not clear to me from reading was that an upgrade will not entail hardware that is placed into the body of the (included) right pedal, but rather a whole new pedal. I don't know why I didn't get that, but I feel that it is not exactly clear from previous reviews. Anyway, the function of the 3s power pedal is pretty obvious. It does the job. I like that it fits my Look Keo cleats and that I can, therefore switch the pedal(s) between any bike that I currently ride. That right there is the beautiful thing about any pedal based power measurement. The thing pairs up immediately and simply with my Garmin 800, my watch, and my Ant based training platform on my laptop for trainer rides. It is going to make a difference in my overall training and in my racing to have power measurement. Now, I just need to save up for the Right side. Paired right up with my garmin 935. Has been a great addition to my training. Now have four pairs of these for bikes in three countries. Whereas the original Vector had many problems, and the fobs looked awful, these work perfectly. Even like the pedals, which do not have tabs on the side to break if you have a fall - unlike pedals such as Look Keo. Work exactly as advertised. Have used both Bluetooth and ANT plus outputs on different computers - all with ease. 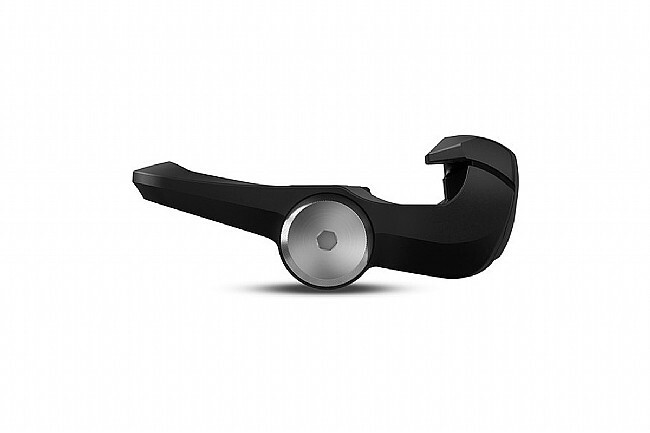 None of the frustrations Ive had with my past power meters either with waking up, etc. Very easy to setup. Has some issues with signal dropping but has improved with firmware upgrade. Pairs and connects every time with Edge 520 and my 920xt. Was on the fence about single sided vs double sided. Perfectly happy with the single sided measurement. Simple installation. Some frustration setting up with Wahoo ELEMNT due to not understanding names of outputs and limitations of ELEMNT. Blogs beery informative and simple plug and play thereafter. Easy to fit and connects itself with my Garmin 520. Seems to work really well. Suspect I need to get some of the batteries for when it starts to show errors. Absolutely great for what they are. Pro The pedals are great for what they are. I bought them to put on the bicycles I was test riding, and carbon aero wheels. I ride with oval chain rings, and the system seams to work just fine with the oval rings. Note I only bought the Vs, because it was far less expensive, and I had a special purpose in mind, knowing I could upgrade to both pedals later if I chose. Con I' ve always ridden with mountain bike shoes, because they never slip at the coffe shop, nor leave divots in the hardwood floors I installed in my home, and they are fast and easy to get into them on two sides. These pedals are much more prone to fumbling when trying to scramble into the pedal when the light turns green. For that I hate them. These pedals are not compatible with my regular shoes. Once I get the bike and wheels I want, I'm giving the Garmin Vector 3s away to a friend who likes road shoes. and putting a Rotor 2in power system on the new bike. Summary The pedals hit their mark, that mark wasn't mine. But I think those of you who ride road shoes will absolutely LOVE THEM! Caveat I've decided to buy my wheels first, and find the bike that enables them to spin the best the way I choose to ride. Con I' ve always ridden with mountain bike shoes, because they never slip at the coffe shop, nor leave divots in the hardwood floors I installed in my home, and they are fast and east to get into them on two sides. These pedals are much more prone to fumbling when trying to scramble into the pedal when the light turns green. For that I hate them. These pedals are not compatible with my regular shoes. Once I get the bike and wheels I want, I'm giving the Garmin Vector 3s away to a friend who likes road shoes. and putting a Rotor 2in power system on the new bike. Caveat I've decided to buy my wheels first, and find the bike that enables them the best. These are great when they work. Unfortunately this is not always the case. They work just fine on my relatively short commute rides with close to zero elevation gainloss (26.6 km). So far there were two cases when power simply stopped being reported in the middle of a longer ride with some climbing (90km with 1500m of elevation gain). 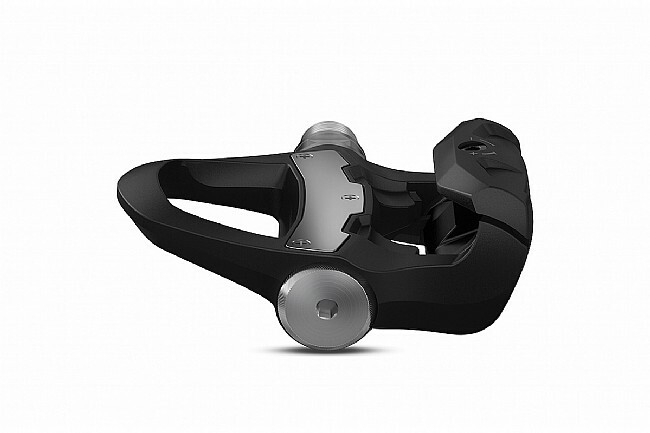 The other problem is that these pedals also report cadence, so once they stop working you loose that too. 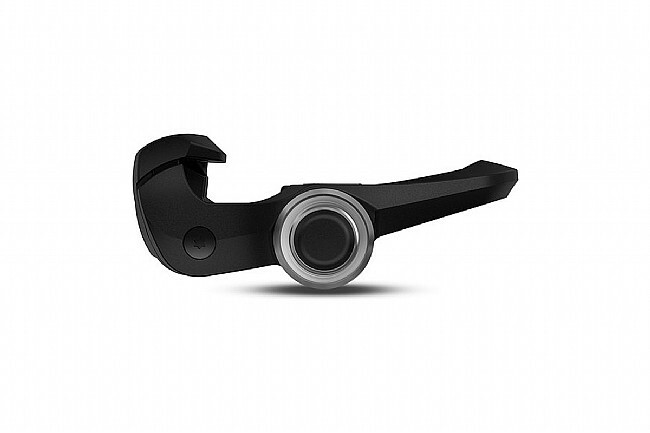 I use Wahoo Elmnt Bolt as my cycling computer, which may add to the issue, and in fact I'm not 100% sure which of these actually breaks things, but I tend to believe the problem is with the pedals, because I have not experienced any issues with the Bolt. On the good side these are very easy to install and set up, the phone app that controls the pedals is easy to use and intuitive, and pedals get discovered very quickly and with no problems. Easy to install, synced with my 1030 flawlessly. I've had all sorts of problems with my Garmin computers communicating with my iPhones over the years, but one thing that has never given me problems is my Garmin heart rate sensor. It has worked flawlessly for me. Well now I can add another to that category. The Vector 3s synced with my Edge 1030 first time and every time. It was easy to install, and so far, no problems. The one thing I wish Garmin would do is provide online videos on how to use their product show to get the most out of them, how to make use of less well-known features. Instead, the videos on their website are promotional only, and no use to anyone who already has their product. Instead, it is left to third parties on YouTube not only do you have to search for these things, but with new products they don't even exist.